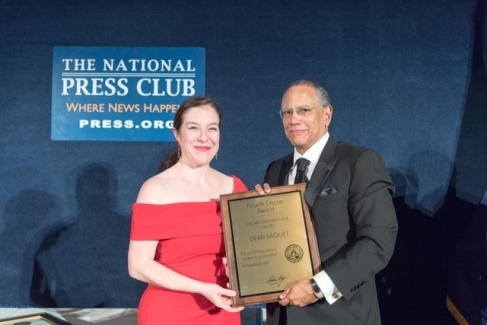 National Press Club President Andrea Edney of Bloomberg News presents the Club’s Fourth Estate Award to New York Times Executive Editor Dean Baquet. 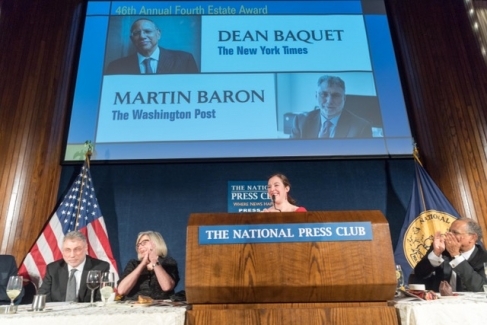 Executive editors Martin Baron of the Washington Post (far left) and Dean Baquet of the New York Times win the National Press Club Fourth Estate Award, November 29, 2018. 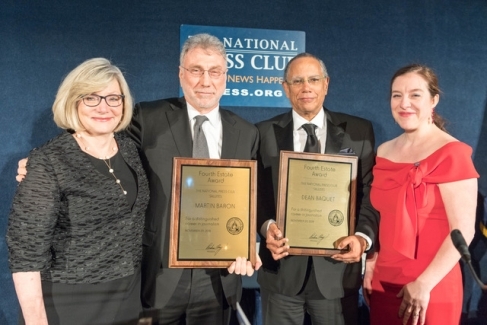 Also pictured are National Press Club Journalism Institute President Barbara Cochran (center left) and Club President Andrea Edney. 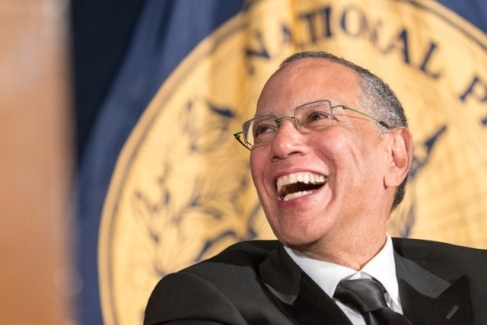 New York Times Executive Editor Dean Baquet. 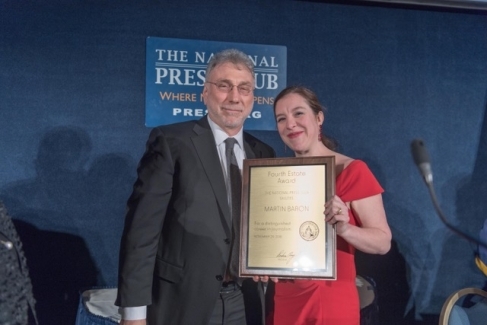 National Press Club President Andrea Edney of Bloomberg News presents the Club’s Fourth Estate Award to Washington Post Executive Editor Martin Baron. 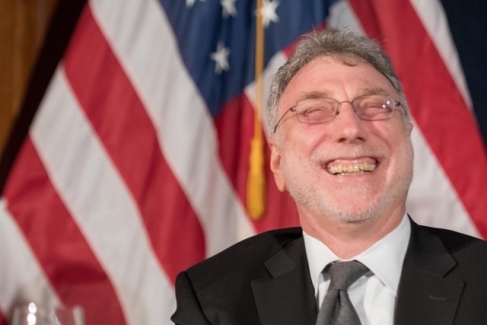 National Press Club Journalism Institute President Barbara Cochran, Washington Post Executive Editor Martin Baron, New York Times Executive Editor Dean Baquet and National Press Club President Andrea Edney.